Debate: Are Hot Dogs Sandwiches? 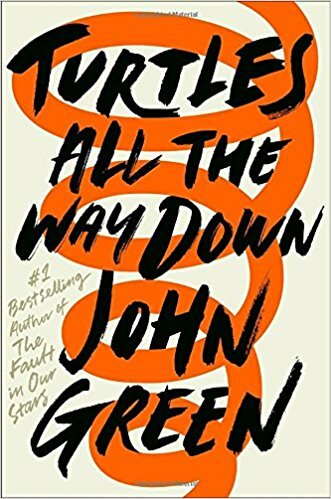 Turtles All the Way Down by John Green is a romance mystery book. The main character Aza is always stuck in her head, always worried about germs and disease. Unable to escape even when she rekindles an old friendship with Davis Pickett, whose billionaire father just so happens to be on the run, and there's a big reward for anyone who can find him. Aza and her best friend Daisy set out to find Davis's father, but when Aza falls in love with Davis and his weird view about the universe and the stars it's no longer about the money. Aza continues her search but if she finds Davis's father Davis and his little brother will have almost nothing, no money, no parents, and no house. Aza just wants to be normal and so does Davis, but the case of the missing father is always reigning over them and their relationship. Girl in Pieces by Kathleen Glasgow is a fiction novel not meant for the light-hearted. Girl in Pieces dives into the world of mental disorders, abuse and what it's like to make it all on your own. Charlotte, or Charlie, was kicked out of the house by her mom and had nowhere to go, Charlie ends up in a house that’s not anywhere near friendly. After all the negative events that've gone on in Charlie's life; like losing her best friend and that house she refuses to speak about, Charlie ends up in a mental hospital where she is mute. After the mental hospital, Charlie finds herself on a bus to Arizona to start a new life, she gets a job, uses her art as an outlet and makes some new friends, but her old demons are still biting at her mind and she finds herself stuck with a man much like the ones she knew in her past. Do you think Charlie will ever find her way or is it a merry-go-round life for her? 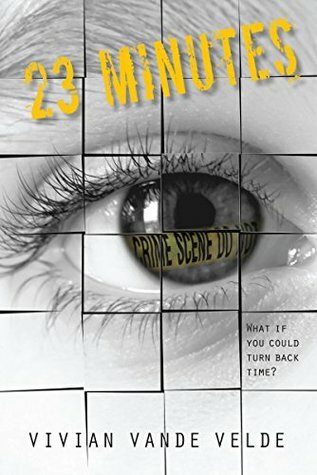 23 Minutes by Vivian Vande Velde is a time travel fiction book. Zoe Mahr thinks that she's a loser, the people that take care of her think she's a burden, and most people think she's crazy. Zoe has a special ability where anytime she says "playback" she is automatically 23 minutes in the past. Up until now Zoe has only ever used her ability to help herself. The day Zoe takes cover from the rain in a bank is the day it just so happened to get robbed, and she witnessed a murder. Zoe only has ten tries to save this twenty four year old stranger that has the most beautiful blue eyes that she just can't get out of her head. During the ten different ways she attempts to save this stranger she finds out more about him and even more things about herself.